I took a picture of it (since that's what I do! ), but I couldn't think of anything to say about, outside of the obvious, that's it's wrecked! But after posting the picture yesterday, of the demolished car on The Bowery, I saw this one, and now I have something to say about it: Look! 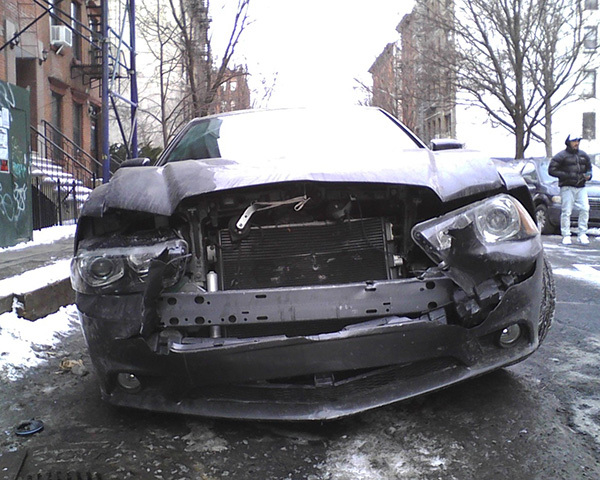 Another wrecked car… in the East Village Today! What's going on these days?! it is a transformer, halted in mid-transform.